If you need to build new windows or need to replace your current windows, you may be overwhelmed by the options. One option that you will see while shopping is argon gas windows. However, you may want to learn more about these windows before you make your final decision. So what exactly are argon gas windows? Why would you want them? Is there anything to consider before you buy them? We’ll attempt to answer those questions in this article. What are Argon Gas Windows? Simply, argon gas windows are doubled-paned or triple-paned windows that are filled with argon gas. Instead of one panel of glass, the windows are made with either two or three panels of glass. The space in between these panels is filled with the argon gas instead of oxygen. This gas is denser than air and is not harmful or odorless. But why would anyone want windows filled with gas? 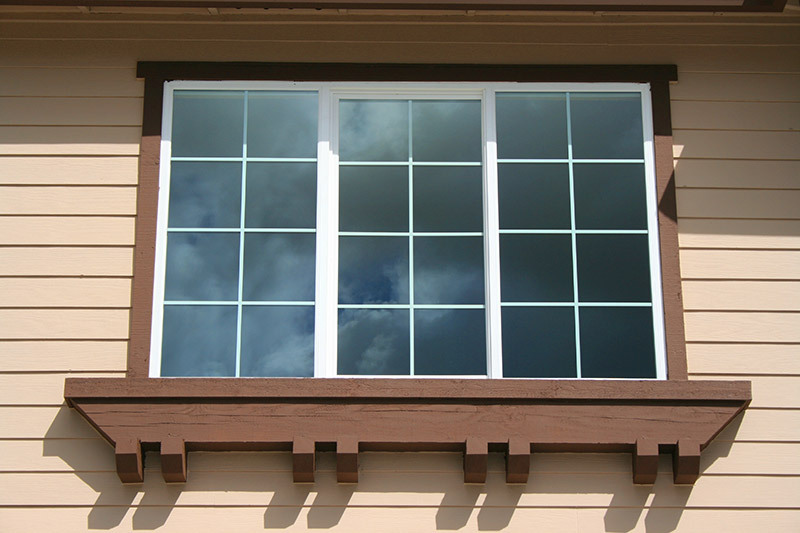 Here are a number of the benefits and why you should consider switched to argon gas windows. One of the most popular reasons to get argon gas in your windows is to save on utility costs. For a mere extra $30 – $40 per window, you can save much more on utilities over the years. The savings vary on how many windows you have and a variety of other factors, but the savings definitely add up. In fact, most people break even in just a couple of months. This is especially important if you want to live in the house for a long period of time or you want to sell the house to someone who cares about being efficient. Many people are looking for green options nowadays, and these windows are a great selling point! Meeting energy standards for homes is becoming stricter and windows are a particularly notorious offender. Getting argon gas windows will help give your house a better R-rating. If you meet a certain rating, you may even qualify for tax deductions. The other reason that the best R-value matters is because it indicates how green you home is and how much you’re contributing to making the world a cleaner place. Argon gas windows prevent outside air from getting in, and it prevents inside air from getting out. It’s able to do this because argon gas is denser than regular oxygen, acting as a particularly effective insulator. This means that you won’t have to run the air conditioning or heating as much to get the perfect temperature for your home. When less electricity is used, you are putting less pollution into the world. Plus, as mentioned before, you will pay less in electric bills. It’s a win/ win for everybody! Do you live in an area with a lot of noise? Argon gas will help prevent the sounds from outside from bothering you and your family when you are looking for peace and quiet. It’s that extra level of protection that will allow you to sleep and enjoy time with your family without interruption. It’s perfect if you have noisy neighbors or live in an area near an airport or train tracks. Many items can corrode your windows. Oxygen is one of those items that can cause corrosion. This means that you might need to replace your windows earlier than necessary. This can be expensive and time consuming. Argon gas will not do this to your windows. Furthermore, the argon gas will help prevent frost and condensation as well. This will also help prevent your windows from getting damaged. Have you ever felt the sun’s rays hit you even when you were inside? It can happen, especially if you don’t have proper window protection. Ultraviolet rays are the rays that cause sunscreen and skin cancer. Luckily, argon gas windows even protect from t eh strong ultraviolet rays! You won’t feel the need to apply sunscreen while indoors anymore. As mentioned before, argon gas is safe. It will not hurt the environment or the people in your home in the case of an accidental leak from the window. In fact, it makes up about 2% of the air we breathe every day. It also isn’t flammable, so you don’t have to worry about any fires. If someone accidentally breaks a window, it might still be cause for being grounded, but you won’t have to worry about any danger. Argon gas is readily available. This makes it easy and inexpensive for window companies to utilize it in their windows. Compared to other energy-efficient options, argon gas windows are relatively cheap. And compared to standard single pane glass, they are only about $40 more per window. Like anything else, there are things to consider if you plan to use argon gas windows. The first thing to consider is that the gas will escape from the windows with time. This means there’s very rarely a long-term guarantee. Luckily, the gas only escapes at about 5% a year. This leads to about 12% loss of the window’s effectiveness after 20 years. You also won’t be able to use argon gas windows if you live at a high altitude. Unfortunately, the high altitude can cause the windows to be less effective. 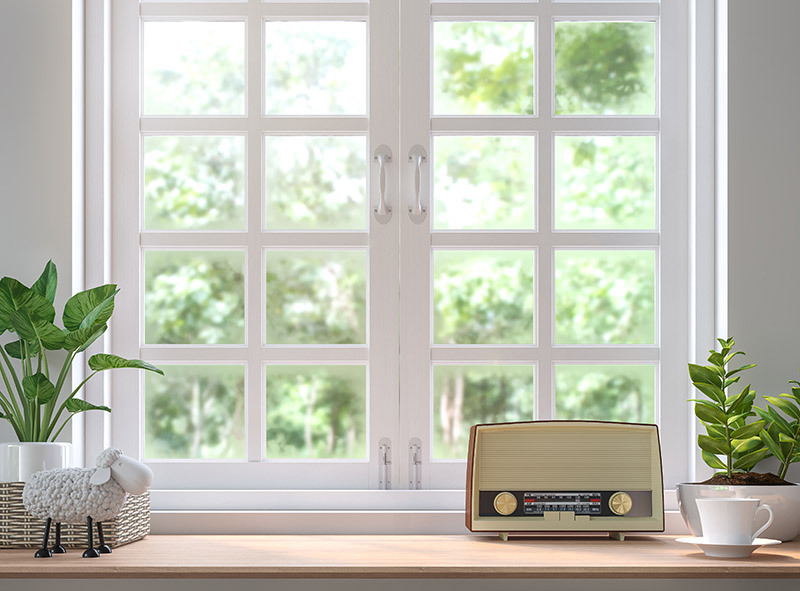 While you may have to consider these two things when deciding on argon windows, the benefits ultimately outweigh any problems as long as you don’t live too high above sea level. Argon gas windows are becoming more and more popular because they offer great insulation at a very reasonable price. If you’ve been living with regular windows your entire life, you will be amazed at the difference that you’ll see. You won’t hear as much from outside, your windows will last longer, and you will see almost instant savings on your utility bills. If you want to save money or help the environment, these windows are a great way to accomplish both goals. Just remember to always use a professional to help ensure that you windows are installed correctly and that you get the results you want. Did you know that Feldco sells argon gas windows? In fact, Feldco has excellent reviews and ratings from over 350,000 customers that are delighted about our products. Since 1976, we’ve established a long-standing relationship with our clients and it all starts with great products, price and installation. You’ll be satisfied with all the benefits that argon gas windows will provide for you. Get a free quote today! And speak to a product specialist about your window replacement.